Riobard O'Dwyer has studied the genealogy, history and social customs of the families on the Beara Peninsula, Counties Cork and Kerry, for more than 40 years. Many people from this area emigrated to the United States and Canada over the last 200+ years. In 2009, he published three volumes of The Annals of Beara. The work contains information on families from the Roman Catholic parishes of Adrigole, Allihies (both in Volume 1), Bere Island, Eyeries (both in Volume 2), Castletownbere and Glengarriff (both in Volume 3). Volume 3 also contains a brief history of the O'Sullivan clan. The foreword to volume one outlines that he consulted every church record in the area. This was combined with local knowledge of who married whom, what occupation they had and where they lived locally or emigrated to. The combination of these aspects allowed the author to tie many North American immigrants to what townland there were originally from on the peninsula. 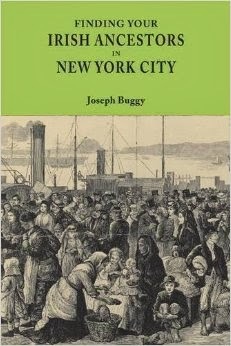 The volumes were digitized earlier this year by the New England Historic Genealogical Society and are available on their website, americanancestors.org. Currently, only volume one has been indexed, while volumes two and three are browse only. A table of contents for all three volumes is available here (pdf). Rregisters.nli.ie notes that Castletownbere and Bere Island are the same Roman Catholic parish. Description. Beara, Ireland: The Annals of Beara. 2016. Available online at https://www.americanancestors.org/databases/ireland-the-annals-of-beara/about/?rId=0&filterQuery=page:5http://www.americanancestors.org/databases/annals-of-beara/about: accessed 30 July 2017. Search the map, Roman Catholic Parish Registers at the National Library of Ireland. http://registers.nli.ie: accessed 30 July 2017. O'Dwyer, Riobard. The Annals of Bears: Volume I Adrigole and Alihies Parishes. Statesboro, Georgia : Gold Stag Publications. 2009. p. i.